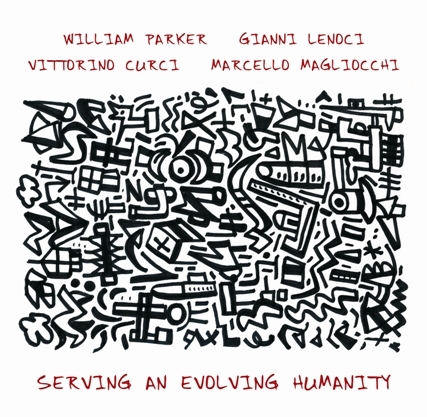 Silta records - Parker - Lenoci - Curci - Magliocchi: "Serving..."
SR1003 - "SERVING AN EVOLVING HUMANITY"
“Serving an Evolving Humanity” is a suite in 3 parts, totally improvised in a concert recorded in Noci, Italy, in a summer night. The four musicians, all well known for tghe fruitful experiences in the field of improvisation (even extreme! ), meet for the first time and generate a great performance, where instruments sounds merge with the fresh air of the public square where the stage was built. Peculiarity of the CD, the booklet contains poems by William Parker and Vittorino Curci, kindly provided by their editors, and chosen for the subject of the concert: for an evolving humanity!